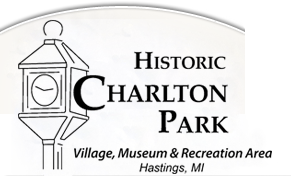 Thank you for your interest in volunteer positions at Charlton Park! Your information will be reviewed and you will be contacted shortly for an orientation. 1) Volunteers are required to attend a Volunteer Orientation session before being scheduled for an assignment. Certain volunteer positions may require additional training. 2) I authorize Charlton Park to utilize my name and birth date for the purpose of obtaining a conviction only criminal file search from the Michigan State Police. I understand that if it is discovered that I have a criminal record, it may be necessary for Charlton Park to terminate my volunteer status. If you have any questions about the Volunteer Program, please contact the Curator & Education Coordinator Shannon Pinkster by e-mail volunteer@charltonpark.org or telephone (269) 945-3775. Thank you again for your interest.